There are a number of different motorhome body types and when preparing a motorhome insurance quote Caravan Guard will ask you for the type of body your motorhome has. 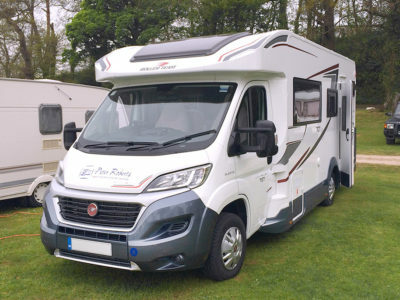 In this “Frequently Asked Questions” video we visited Richard Baldwin motorhomes in Halifax and looked at the three main motorhome bodytypes. First we look at a panel van, also referred to as a derived van. 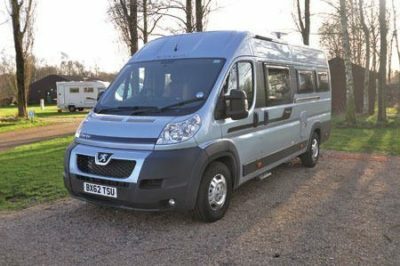 This type of motorhome arrives from the engine manufacturer and goes to the motorhome converter as a complete van and they then build the inner body of the motorhome. The outer body of the motorhome remains very similar in appearance to its original manufacture as a van, but will often include designed features such as extra windows, extended or elevating roof. 2. 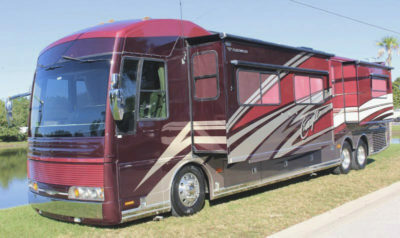 The most common type of motorhome is a coachbuilt. 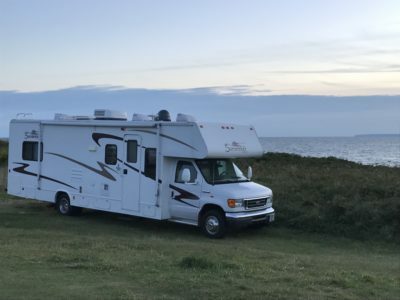 These types of motorhome incorporate both the engine manufacturer’s chassis and driving cab with the motorhome converter then building onto the back and over the driving cab. The traditional coachbuilt will have a lip or bubble over the driving cab which would normally include sleeping accommodation or storage. There’s also a “low profile” coachbuilt, which might still have an overcab bed or an electric bed which comes down from the ceiling. 3. An A Class motorhome would also come as a chassis but the body and driving cab would be completely designed by the motorhome converter. 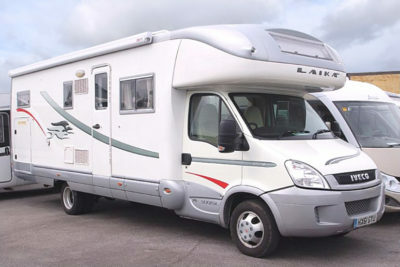 A Class motorhomes usually have a very large windscreen, that is almost vertical (not angled backwards like a car windscreen) and curves around the front edges of the motorhome body. 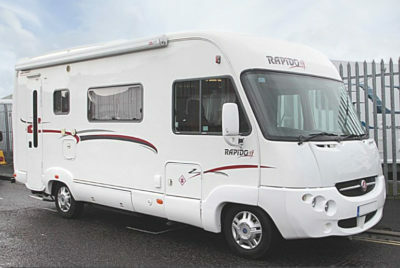 Other motorhome body types include an American A-class, which are sometimes referred to as “RVs” and American coachbuilt. Using only the American engine manufacturer’s chassis, the motorhome body is completely designed by the American motorhome converter. The driving cab will generally have a large, vertical windscreen and the American A-class vehicles are usually bigger than European builds – in some cases they look like a small coach! Incorporating both the engine manufacturer’s chassis and driving cab, the motorhome body is built above and behind the driving cab by the American motorhome converter. It’s very similar to a European coachbuilt, with a the storage/sleeping area over the driving cab that appears to ‘lip out’, but the American coachbuilt is generally much bigger. Click to see more of our frequently asked motorhome questions (FAQs).